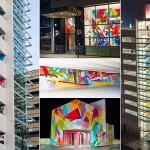 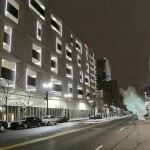 Architect: Neumann Smith/Rich & Associates, Inc. 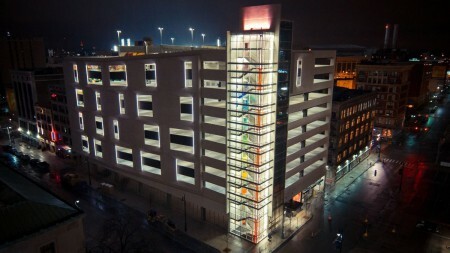 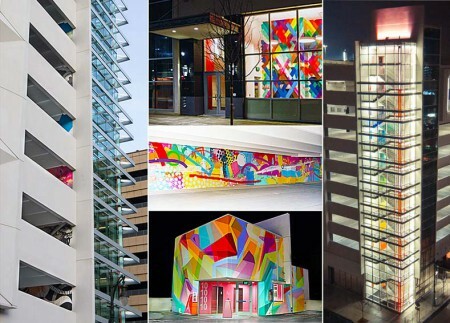 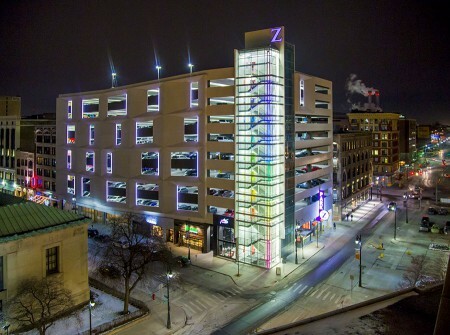 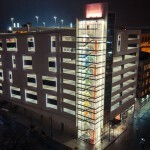 This complex parking structure contains 1,292 parking spaces. 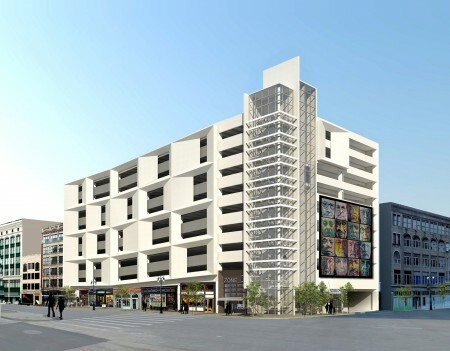 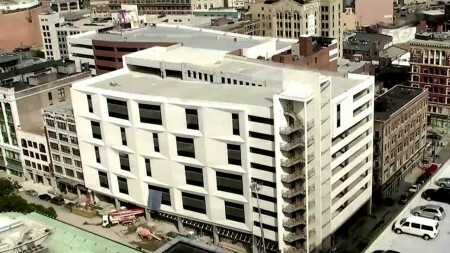 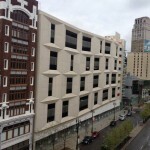 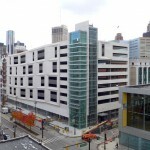 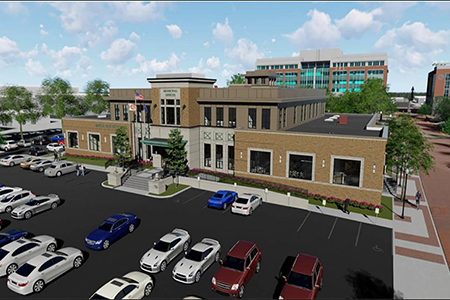 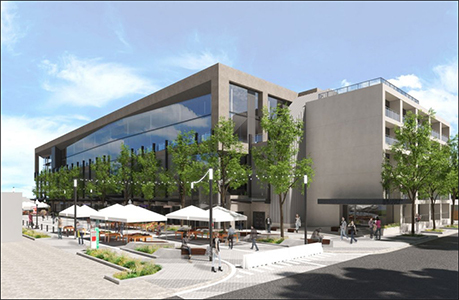 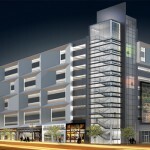 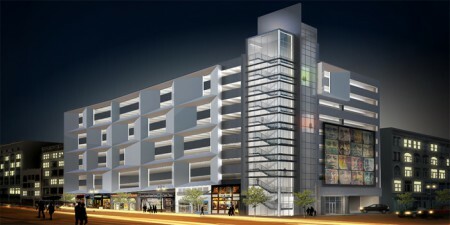 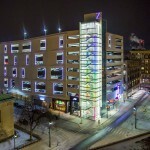 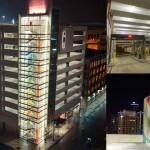 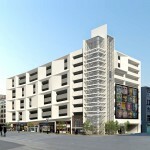 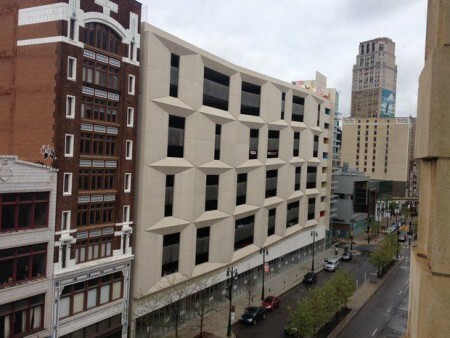 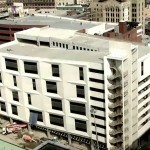 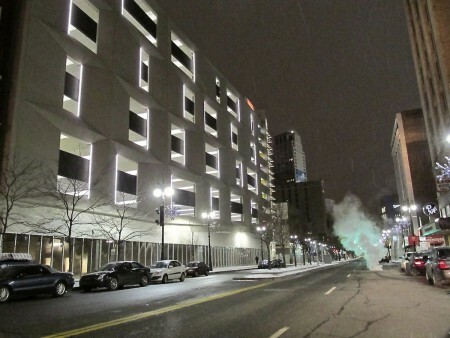 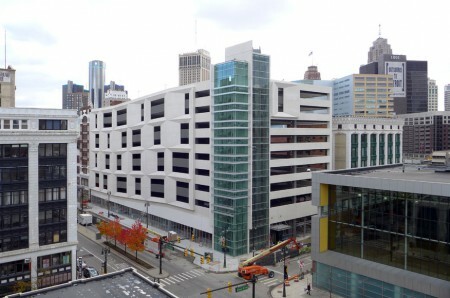 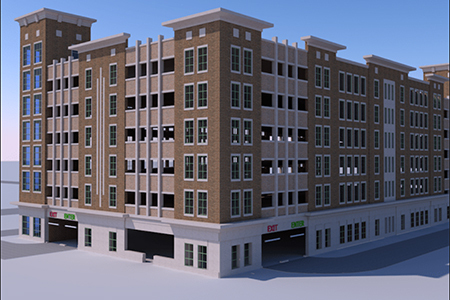 The pre-cast deck consists of ten levels of parking and 30,000 SF of first floor real estate.